Mr. Squirrel is now bringing love...and light!...to the world. So...something super exciting happened last week! I was contacted by the small (veteran and women owned and operated!) 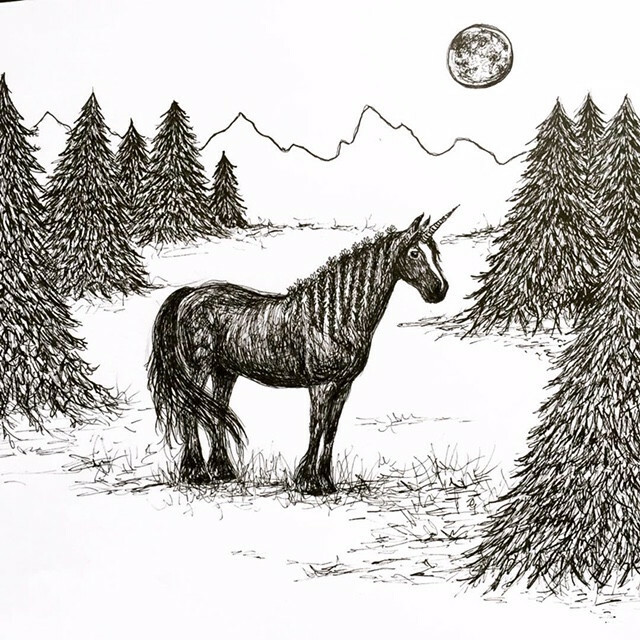 candle company Love Light and Legacy to collaborate on a candle using one of my drawings. 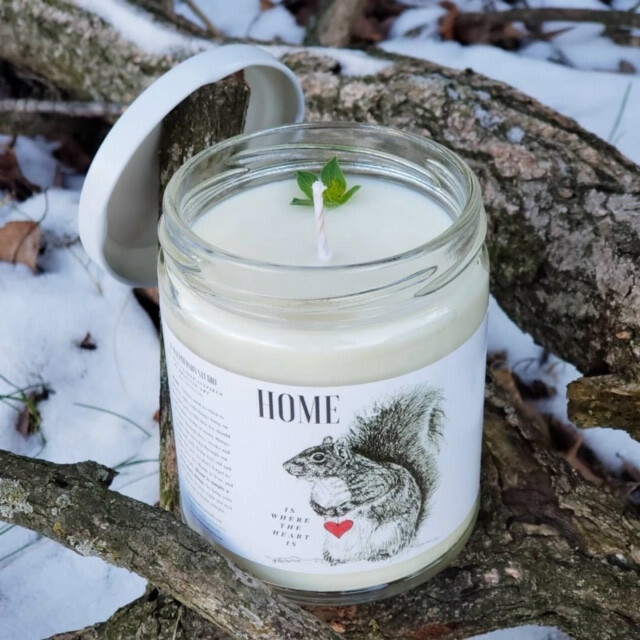 The business owner chose my sweet squirrel with a heart ❤️- which has extra special meaning for me and the family of a dear friend - and I’m SOOOO excited to share the first small batch! Get ‘em while they’re hot! 🔥 (Pun most definitely intended). 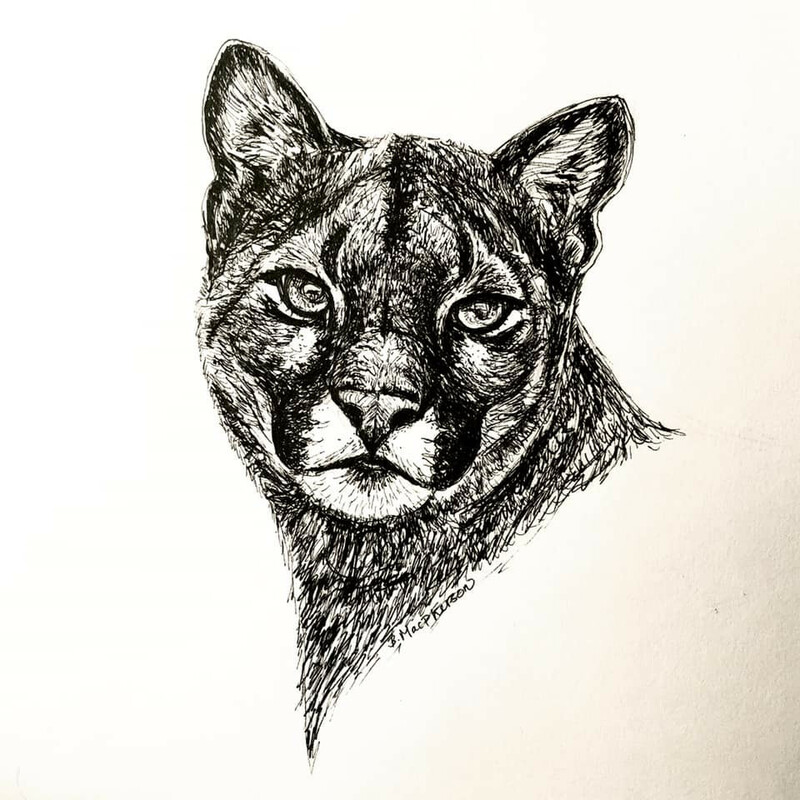 In the last two years as I was beginning on my conservation art path, I would do one piece and have 50% of that piece go to an organization related to the subject matter. That seemed like a good idea...and it was..., but over time it’s gotten more complicated with some designs being used for prints and notecards and also because some pieces take a very long time to find their person! Each of these organizations do amazing work- they are doing the hard hands on work of conservation. They are the boots on the ground for the animals. Also, each one has a different reach and focus, so my giving is diversified across several different avenues of conservation and animal sanctuary, which I also like. It's a new year and I am super excited about what 2019 might have in store. 2018 felt like a lot of pieces being pulled out and put together, but the full picture wasn't quite there. (Although one could argue that the full picture of our lives is never quite there as long as we have days left to live...) A lot of what I experienced in 2018 was hard, like a rock being tumbled in the waves and sand, over and over and over until it's smooth and shiny; but at the same time also exciting and new. There were two things that happened in the fall that completely changed the trajectory of my art, in a way that was both surprising and which felt like coming home at last. The first was that I participated in my first Inktober challenge on Instagram. 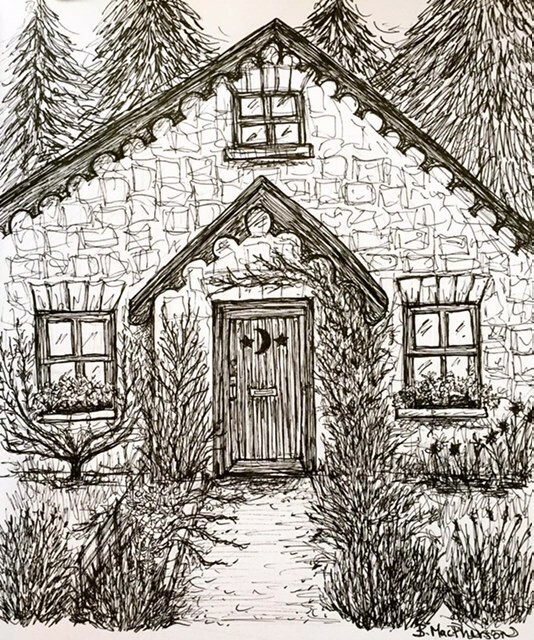 For those who don't know what that is, it's a challenge to post a drawing in ink every day in October and using the related hashtags to follow along with other artists participating. After doing the 30 in 30 in September and realizing I was having fun trying new materials, I thought it would be fun to try pen, so I picked up a small set of four pens at the art shop before October. Well...what I thought would just be a fun exercise, turned into a whole new direction! Last month for Folktale Week, I completed a short story with my daughter Clare as a main character. It also featured a shapeshifting ("from hedgehog to pinecone and back again") hedgehog named Prickle. At the time of writing that story, I asked my son if he wanted to be in it or if he wanted his own story. Not surprisingly, he wanted his own, so here it is! He wanted to be an elf, so the main elf character here is based on him. 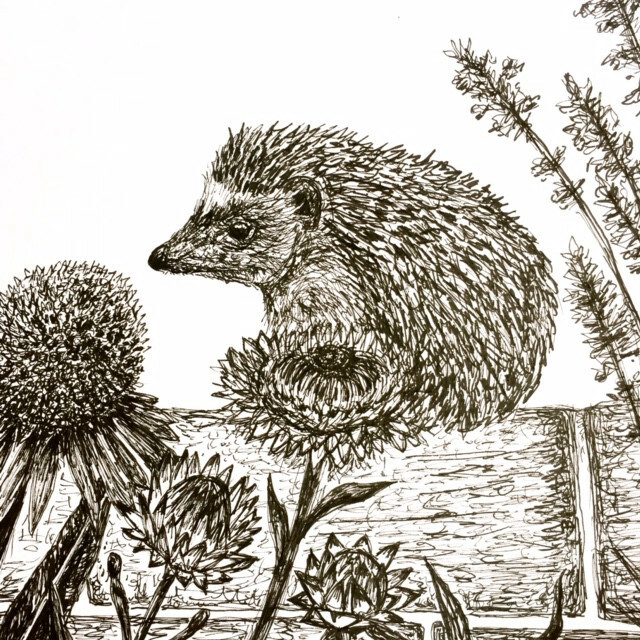 I wasn't planning on including Prickle in this story...but it turns out I miss him (!) and couldn't keep him away so here he is- back again on a new adventure in the forest! This is Part I, I am not sure how many parts to this story there will be, probably at least four or five, so check back soon! 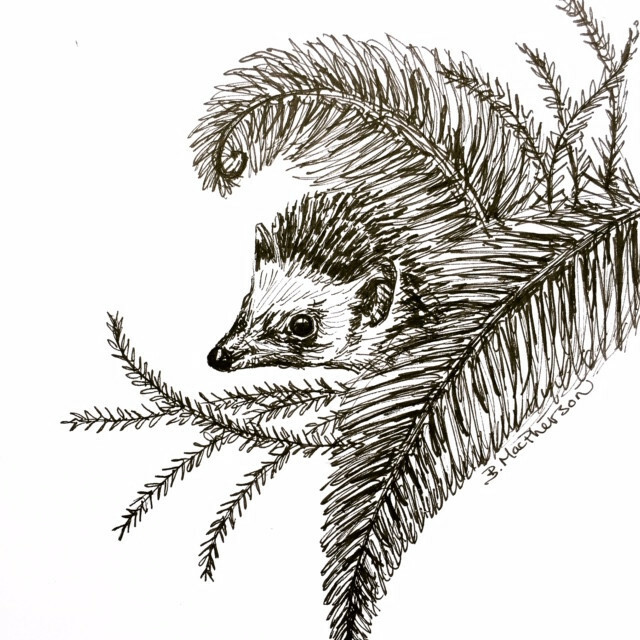 Many thanks again to Oliver the Hedgehog- he is the beloved animal companion of a friend of mine and provides all the adorable inspiration for Prickle illustrations! Prickle the Hedgehog had been out foraging all night. He had set out after his evening breakfast of crunchy dried mealworms to collect more food for his cellar of winter provisions. 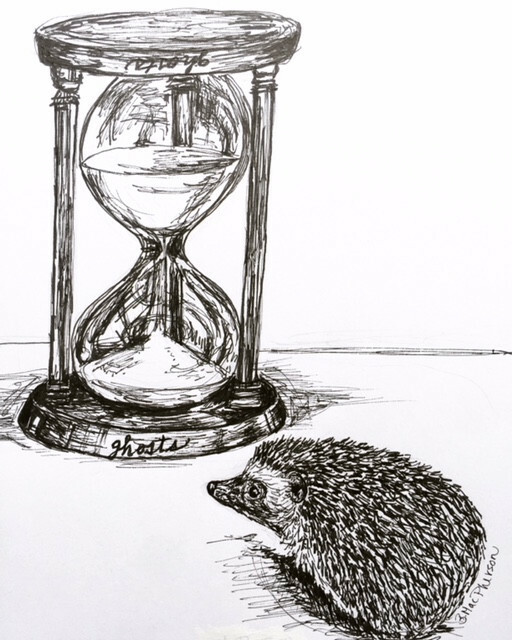 Prickle was an industrious sort of fellow and never let the sleepiness after waking or the comfort of his warm stump keep him from the task of making sure he was set with all he needed before the winter snows arrived. The cottage garden was quite a place and he had much fun! As for Clare, hedgehogs are pure enchantment, so following Prickle on his garden adventure proved to be magical indeed. After Prickle had (more than) his share of cucumber sandwiches, he sat with his feet up in the corner of one of the cottage's cozy arm chairs. "Thank you for a delightful tea!" he said. "You are most welcome!" said Ellen. "You have been such wonderful guests. You have truly honored us by visiting our home! I know that fairies and hedgehogs are most discerning and don't enter the homes of just anyone!" "That is true," agreed Esmeralda, "most humans never see woodland fairies, but your daughter is charming and the fact that she could hear us was intriguing enough to lure us out of hiding. It's a most unusual trait." The group had a lovely tea and wonderful conversation (how handy it is when everyone can understand each other). Afterwards, Prickle asked if he could poke around the cottage a bit. "I'd love to see what's here," he said, looking at the herbs hanging and the various things placed about the small space. It was cozy and homey and the food had made Prickle feel oh so warm and he wasn't quite ready to go back out into the bright sun. Hedgehogs, when they feel safe, can be nosy creatures (in the best way) and are interested in what other folks keep in their homes. You can learn a lot about someone by looking at the things with which folks choose to surround themselves. As he nosed about, sniffing and looking, he spied something shiny on a table in the far corner of the room. He tried shimmying up two different upholstered stools to gain a better vantage point for viewing, but realized he was going to need assistance if he was going to get close enough for prime viewing capability. “So who taught you to speak to animals?” Prickle wanted to know. Expecting the little girl to pass by Prickle and the fairy waited in their hiding places, but they were soon surprised to hear the footsteps stop on the path between them. “Hello?” a small voice said. The fairy slowly peaked over the edge of the leaf behind which she hid. The little girl had stopped directly in front of her and was looking around. The prompt for Day One of Folktale Week is FOREST. 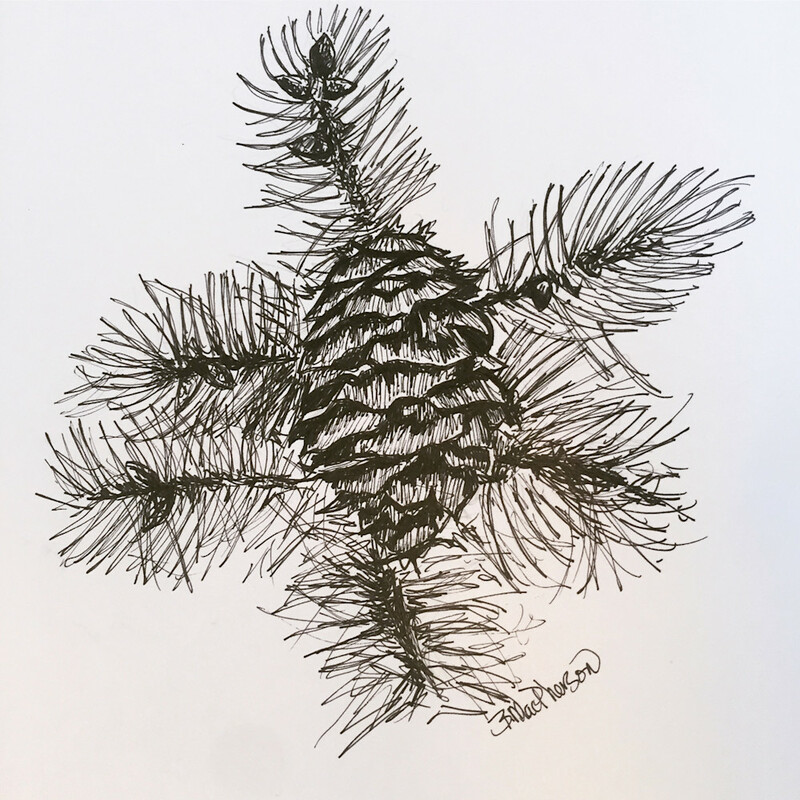 I drew a pinecone I had taken a photo of when I visited Yellowstone National Park in October, but knew there needed to be more. This is FolkTALE Week and so I challenged myself with coming up with a story for each day of this challenge. I initially thought I would write a (very, very) mini story for each drawing, but once I got going on todays story...it was clear that it was just installment one of a longer story. Sitting on the branch of a great oak tree, the fairy giggled as she looked across the forest path. Her new friend Prickle was undetectable, having taken quickly to the art of camouflage and shape shifting. They had been practicing together all morning. 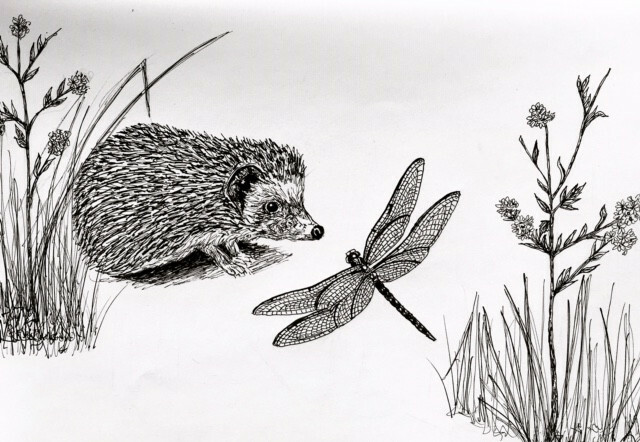 The fairy delighting in the idea that a hedgehog could be something else entirely- or at least appear to be something else entirely. 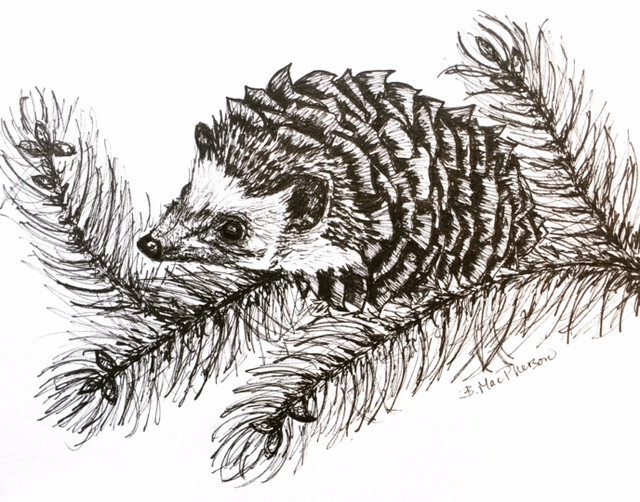 Prickle’s quills were now indistinguishable from a common pinecone. 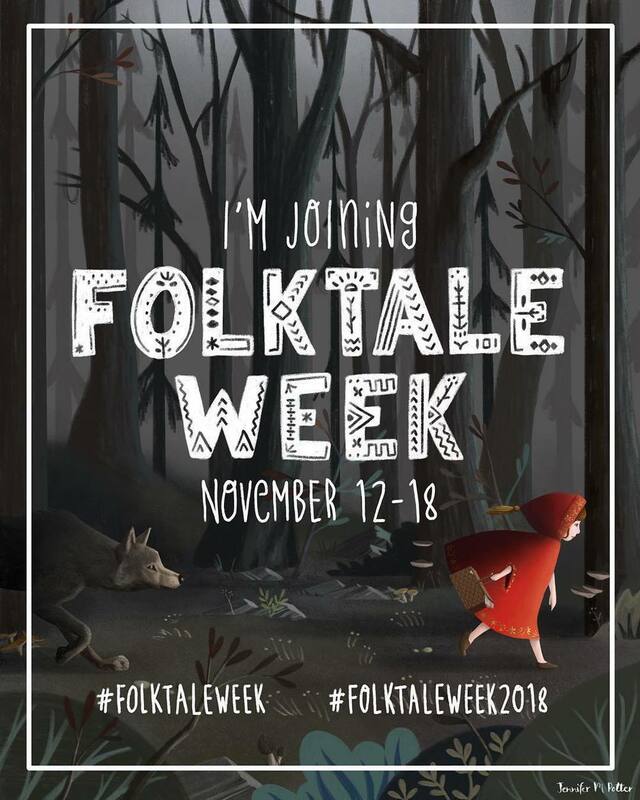 To get my creative and storytelling juices flowing this week I am participating in Folktale Week! I will be following the prompts and I also hope to make up a mini story with each. (Really, REALLY mini haha). I will be posting the first prompt- which is FOREST- later today. 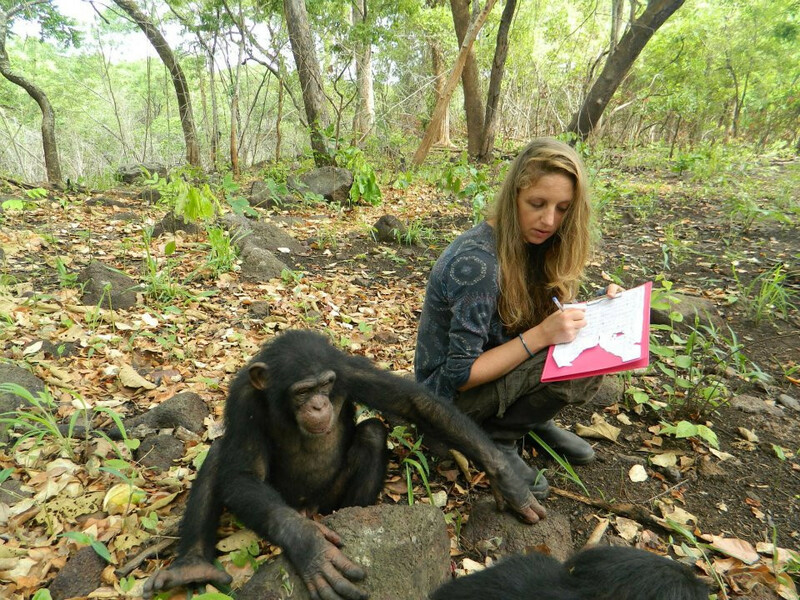 Part two of my interview with primatologist Melissa Ongman. 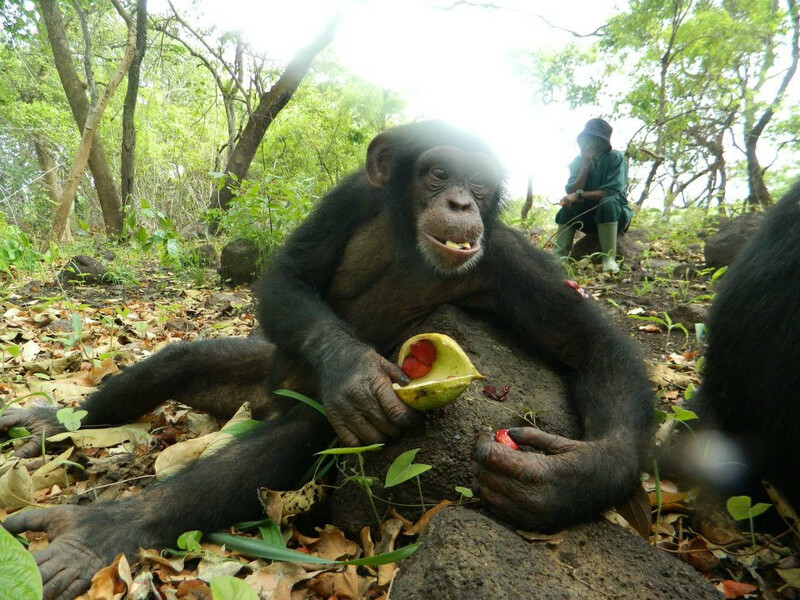 We talk about her work with the Chimpanzee Conservation Center, orphaned chimps, and...what WAS that sound in the forest?! Part one of my interview with primatologist Melissa Ongman. We talk about her work with the Chimpanzee Conservation Center, orphaned chimps, and...what WAS that sound in the forest?! while my kids played next to me on the school playground after school. Sometimes, when a place has been with you and has shaped you for a certain length of time, you start to really feel the 'personhood' of that place. Many indigenous communities around the world have always felt something like this- giving the land it's own personality and 'being-hood', but I think that in the western culture we lose that sometimes. That doesn't mean that the land doesn't affect us deeply, but I think that we don't always realize how much or how deeply. Until we lose it- and we grieve. We are all connected. Everything we do spreads outward, to a degree that most of us could not comprehend even if we tried. 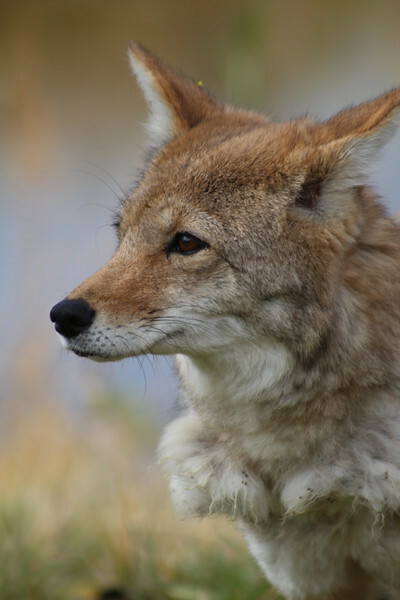 We may not feel overly connected to a predator such as a wolf, but in reality we are deeply, deeply connected. My painting, Spirit Walker, is my contribution to the story of our connectedness with all things. This wolf is everywhere yet nowhere. She is alone, yet with all things. Grounded with the Earth, yet also seamlessly connected with Spirit. She wants to connect with you, to share with you her story and her magic. Will you let her? Until very recently- I was afraid of monkeys. "Why are you painting a gibbon? You hate monkeys!"